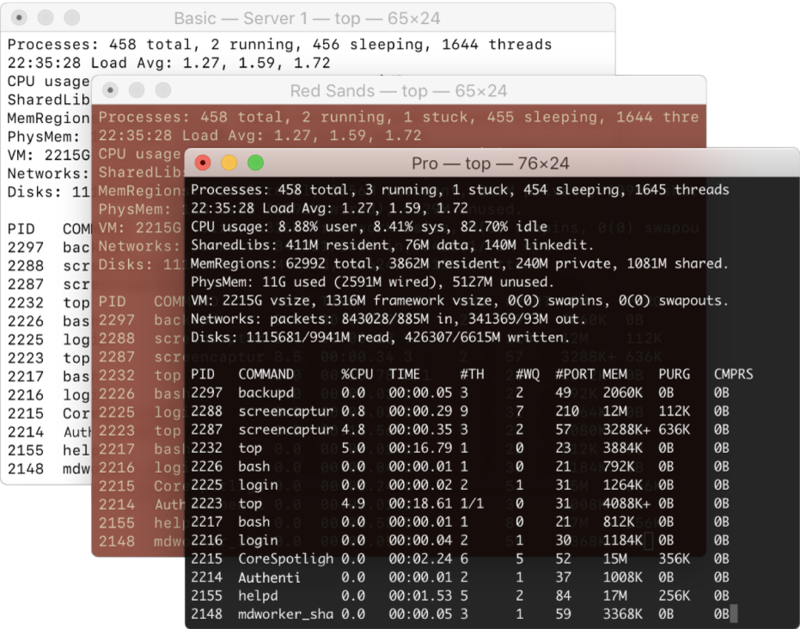 When you’re logged in to several servers, unique background colors and window titles specified in profiles help you easily spot the right Terminal window. 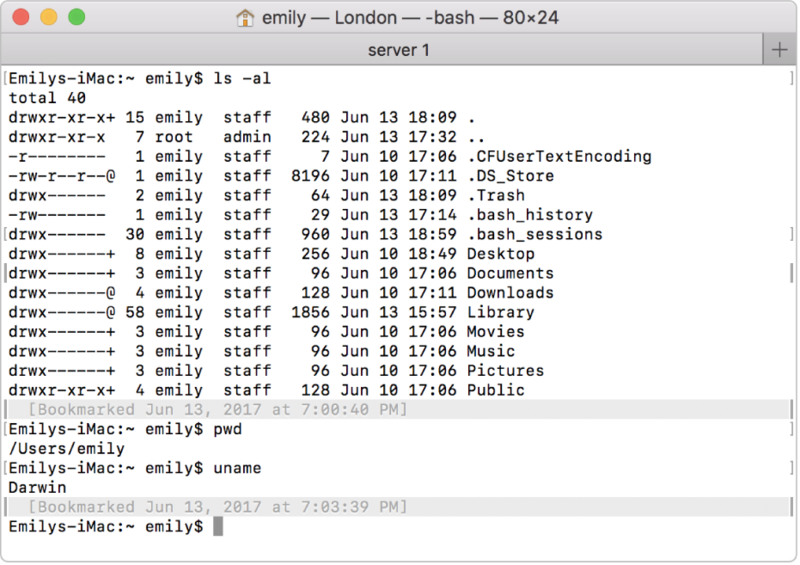 Use profiles built into Terminal, or create your own custom profiles. 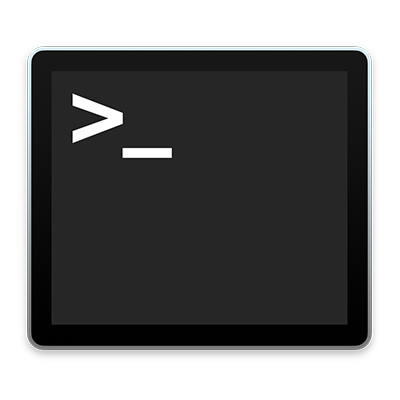 Add marks and bookmarks as you work, then use them to quickly navigate through lengthy Terminal window output. 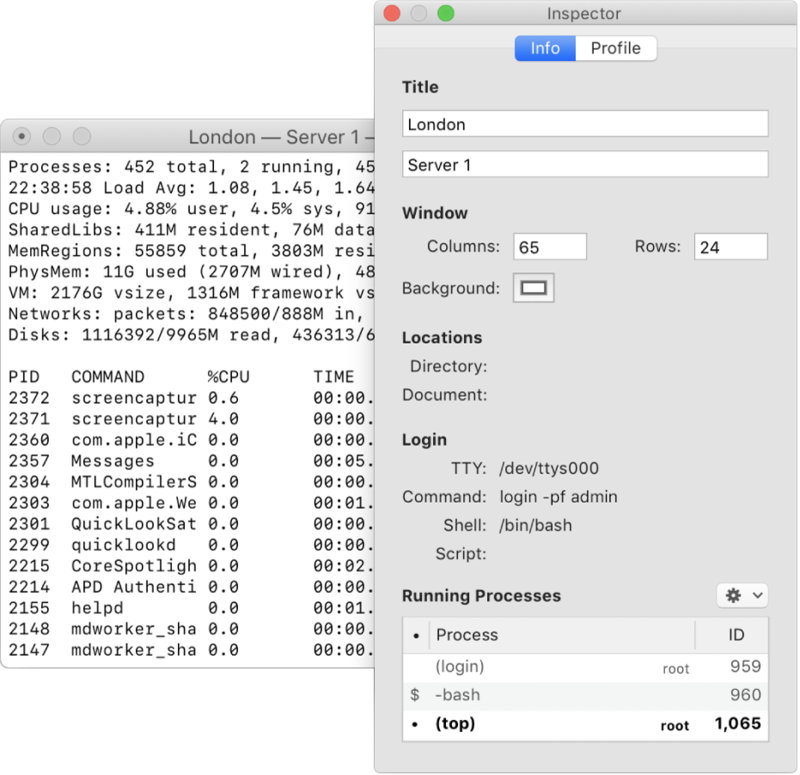 Use the inspector to view and manage running processes, and change window titles and background colors. To browse the Terminal User Guide, click Table of Contents at the top of the page.